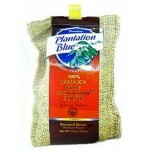 Plantation Blue Jamaica Blue Mountain Coffee boasts a composition of 100% Jamaica Blue Mountain Coffee Grade 1. These beans are shade grown under unparalleled conditions in mineral rich soil nestled under gentle cloud cover high in the mountains. 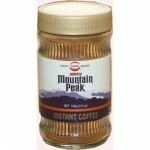 This coffee produces a lingering aroma that is certain to please even the most discerning Jamaica Blue Mountain Coffee lover. 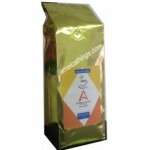 Plantation Blue Jamaica Blue Mountain Coffee is roasted in 12 kilogram batches in order to guarantee exceptional freshness and full Jamaica Blue Mountain Coffee flavour. These Blue Mountain Coffee beans are then vacuum packed in high-quality foil bags with one-way valves and placed in a decorative burlap bag before export from Jamaica. 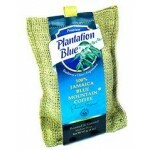 Plantation Blue Jamaica Blue Mountain Coffee is roasted in 12 kilogram batches in order to guarantee exceptional freshness and full Jamaica Blue Mountain Coffee flavour. These Blue Mountain Coffee beans are then vacuum packed in high-quality foil bags with one-way valves and individually hand sown in burlaps before export from Jamaica. Plantation Blue Jamaica Blue Mountain Coffee is roasted in 12 kilogram batches in order to guarantee exceptional freshness and full Jamaica Blue Mountain Coffee flavour. These Blue Mountain Coffee beans are then vacuum packed in high-quality foil bags with one-way valves before export from Jamaica.